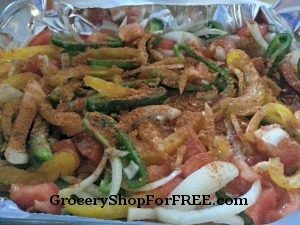 Easy Oven Baked Chicken Fajitas! 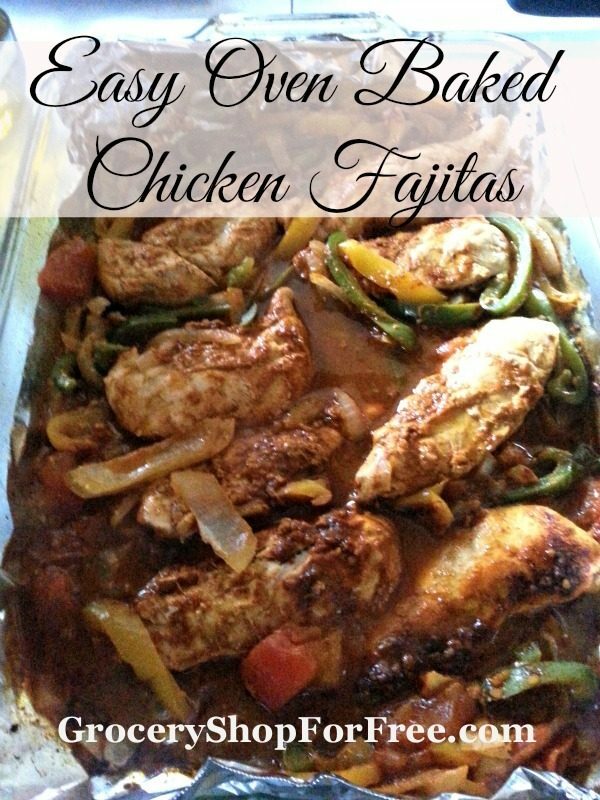 You are here: Home / Recipes / Dinner / Easy Oven Baked Chicken Fajitas! When trying to eat healthier and lose weight there are a lot of items that I would typically remove from my menu and fajitas are one of those. These Easy Oven Baked Chicken Fajitas were inspired by some that have made the rounds on social media in recent months but with a few twists that I felt enhanced the flavor and kept them from being bad for my diet plan. They are so delicious you can serve them without the traditional tortillas or simply grab some low carb or low fat tortillas for a special treat. Sprinkle remaining seasoning on top of chicken. 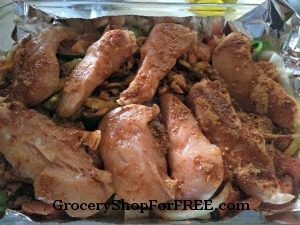 We enjoy these Easy Oven Baked Chicken Fajitas with low fat or low carb tortillas and fresh lettuce, black olives, avocado and perhaps some low fat or fat free sour cream. With these rich and wonderful flavors there is no need to have heavy sides, cheeses or other common accompaniments. Removing the oil from the traditional frying or sautéing used in making fajitas and boosting the flavor profile with more vegetables and seasoning helps your taste buds not long for the bad for you ingredients of traditional fajitas.